I don’t normally respond to key news items unless they’re very topical to this blog, eg the CIPD’s social media report earlier this week - the mainstream media, and some other bloggers, already do this very well. And I prefer to mull over issues, tie themes together, and produce something hopefully a bit deeper if more generic a little later on. However, I thought I should comment on Nelson Mandela’s passing. That’s partly because I’ve been working in South Africa quite a bit over the last couple of years and feel more connected to events there than I would otherwise. And partly because his influence is clearly much stronger than most things that come and go in politics and the economy etc. Having said that, I’m beginning to get a bit fed up on the continual reporting, and agree with the prevailing sentiment on Twitter last night that giving up the whole of BBCs 1, 2 and News to this was unnecessary, and I would have quite liked to have still seen Question Time and This Week thank you very much. So rather than discuss Mandela I want to focus on one of his qualities that I think applies, or should apply to organisations too. This is his desire to be inclusive, and even the subservience of his own needs to do so. I think that stands in stark contrast to what we see in just about all Western business and even public sector organisations today, and is self perpetuated by a lot of what we do and say. More than anything, this is the omnipresent desire to respond to the ‘What’s in it for Me?’ question. And whilst sometimes we may need to do this to achieve certain objectives, its central focus within organisations has created a highly transactional environment, centred on selfishness and competition and downplaying co-operation and collaboration which we know is so important in today’s society. Even most of the thinking around newer approaches like social business still takes this ‘what’s in it for me’ paradigm as for granted. To me, it often means we’ve lost the contest (change vs current state) before we start. We’ve got to start trying to get people thinking about 'what’s in it for us?'! Until we move some way towards that, organisational life is always going to be nasty and ineffective. Hopefully Nelson Mandela’s life can act as an example of how we need to change. So let’s forget about the flowers and incessant news coverage, and just get on with business, but thinking about others rather than just about ourselves. Also see: Ubuntu - changing social thinking (not that I saw much sign of this in the Autumn Statement yesterday!) And perhaps this one: Team GB’s Golds / On Competition. #CIPDSocial13 - #Missingout or #Missingthepoint? #CIPD on #SocialHR #BraveHR #PunkHR! Today’s the CIPD’s Social Media in HR conference. I’m not going though it should be a good day - though there’s not been anything new in the twitter stream so far. But Dean Royles from the NHS and Matt Burton from Boots (one of my social business clients) in particular should both be great value. Of course, for this to function requires the ‘right’ people to be users of the ‘right’ social media platforms. A threshold has to be reached within the population inquestion – a tipping point at which it starts to become more convenient to use social media than to avoid it and be out of the loop. In our personal lives, many now feel that social media platforms such as Facebook are indispensable. Politically, we witnessed it playing a role in the Arab Spring (in Egypt and Tunisia this being dubbed a ‘Twitter revolution’), although a rolethat many have argued has been overstated (Alterman 2011). What is the picture for the world of work? This point about the tipping point is key. There are tons of people using social media in most organisations today, but to get the greatest value from it, just about all employees need to be committed to using the internal social channels. And I worry about the session later on today - #PunkHR #BraveHR - What is #SocialHR? Forget about the #overkill of #hashtags for a moment (and yes, yes, I know I do it myself) - the combination of terms is just plain wrong. I’ve got nothing against Punk HR. It’s not a term or phrase that I’d want to use myself, but I do believe that 1. there is room for a variety of approaches in HR, 2. that we need to move away from best practices towards these varied approaches and 3. that rather than best practices what matters is having an agenda, a bit of ambition, and wrapping HR processes and practices around this. So although I don’t warm to Punk HR, I’d rather an organisation try to do this, than just copy the same old same old #BoringHR. However Social HR doesn’t have to be anything punk! Most organisations won’t want to do punk type strategies and most employees won’t want to work in punk organisations. 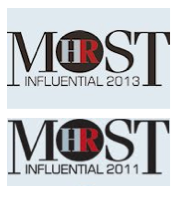 Linking them together like this does nothing to attract more businesses of HR people to social media. And let’s remember the need is for social media in HR to go mainstream - associating it with punk just isn’t going to be helpful. I know this came up during last year’s conference too and I disagreed with that as well. The right metaphor isn’t punk rock but perhaps pop (something that appeals to everyone), classical (something that can be part of a traditional organisation) or maybe jazz (everyone doing their own thing but within a co-ordinated frame). The use of social media within HR is separate to these two things and to anything else. Let’s keep it separate and discuss it for its own merits. 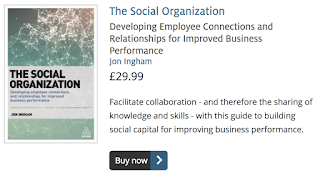 But of course, this still isn’t Social HR / Social Business anyway!- which is why I liked @GrumpyLecturer’s challenge: 'Why introduce so me into workplaces where to critique managerial strategies is actions of a non team player?’. Absolutely. Social media is an organisation development tool, and like any OD tool, can’t be introduced by itself. We need much broader, deeper, social change in HR and the rest of the organisation before any business can be anything like truly social. CIPD / IASB - HR and Financial Reporting: Why the Value of Talent CAN'T appear on the Balance Sheet! One of the things the CIPD Valuing Your Talent report suggests is that the onus is now on the IASB to explain why the value of human resources cannot appear on the balance sheet as an asset in its right, rather than just as a cost on the P&L. I’m not sure why they think this is the case, but anyway, in case the IASB is struggling, here are some inputs from my 2006 book which describe why putting people on the balance sheet isn’t just difficult but actually quite impossible. ‘The assumption in direct valuation is that intangibles have an absolute, fixed value. This can lead to some further questionable conclusions. For example, it can be taken to mean that intangibles account for an absolute part of market value and potentially the difference between book and market value. In this situation, it makes sense to quantify each type of intangible capability in order to justify market value and keep share prices high. 'In this perspective, which takes more account of complexity, intangibles are just the cause, not the substance of the difference between market value and financial value. Intangibles have no self-standing value in themselves; their value is created through their potential impact on future earnings. Investors’ expectations about these future earnings are what results in a company’s market value. These expectations are influenced more by intangibles than tangible assets because the market believes that intangibles will have a much bigger impact on future earnings than tangible assets. So investors pay for the expected impact of intangibles, not the intangibles themselves. But the expectations of investors are subjective. Market value is only indirectly affected by intangibles and is also subject to a number of external factors including the political and economic climate, actions of competitors, changes of technology and general rumour. Some models introduce an additional element, ‘market premium’, into company valuation. This market premium is based solely on investors’ subjective perceptions about the future and means that it is now the adding together of financial capital, intangible capability and market premium that results in market value. However, it seems much more likely that the whole entirety of market value, not just a smaller market premium, is the result of investors’ subjective expectations. Intangible capabilities are the main driver for these expectations, but they cannot be the basis of an absolute calculation of intangible value. "The value of an intangible asset such as a customer database cannot be considered separately from the organizational processes that will transform it and other assets – both tangible and intangible – into customer and financial outcomes. The value does not reside in any individual intangible asset. It arises from the entire set of assets and the strategy that links them together." 1. Value creation is indirect ... Improvements in intangible assets affect financial outcomes through chains of cause-and-effect relationships. 2 Value is contextual ... The value of an intangible asset depends on its alignment with the strategy. 3. Value is potential. The cost of investing in an intangible asset represents a poor estimate of its value to the organization. Intangible assets ... have potential value but not market value ... if the internal processes are not directed at the customer value proposition or financial improvements, then the potential value of employee capabilities, and intangible assets in general, will not be realized. It was interesting to hear someone at the CIPD conference challenge Peter Cheese and Anthony Hesketh about they work using this point that human capital is potential. It’s absolutely the central point here. Human capital does not have financial value until it’s put to use. It therefore can’t be put on the balance sheet. Simple. 'Rather than trying to ‘fix’ accounting, this perspective realizes that financial accounting does not attempt to convey the market value of a company on its balance sheet. All it does is to value a company’s assets in accordance with financial reporting standards. International Accounting Standards (IAS 38) specify that a company can only recognize an asset if it is identifiable and controlled. Control means that an organization has the ability to gain future economic benefits from an asset and to restrict the access of others to these benefits. If an asset meets these requirements then it should normally be amortized over the best estimate of useful life up to a maximum of 20 years. However, companies do not own an individual’s human capital so it cannot be controlled. It therefore lacks the essential characteristics of an asset. In fact, the standards specifically prohibit capitalizing internally generated goodwill, brands, publishing titles, customer lists and similar items including staff training costs. Outlays on intangibles therefore need to be recognized as expenses when they are incurred. "The fact that companies don’t own their employees, as they do their capital assets, is why methods for valuing ‘human capital’ on balance sheets are so tortuous." Keeping intangibles off the balance sheet means that the information on it is still relatively comparable. But it also needs to be recognized that the total value of the balance sheet will not reflect the market value of the company and that some of the things that are not on the balance sheet will be more important than what is included. "The bottom line is this: If current accounting methods can’t give HR professionals the measurement tools they need, then they will have to develop their own ways of demonstrating their contribution to firm performance ... Investors have made it clear that they value intangible assets. It’s up to HR to develop a new measurement system that creates real value for the firm and secures human resources’ legitimate place as a strategic partner." 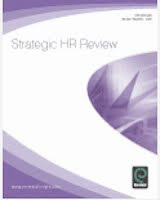 The rest of the book goes on to provide the required new measurement system that demonstrates HR contribution to firm performance that creates real value and secures HR”s legitimate place as a strategic partner. You can buy my book here (and on Kindle). But going back to the CIPD report, this is where they have messed up. We can’t put people on the balance sheet. We can’t accept accounting’s current paradigms about reporting and try to squeeze HR into them somehow. We have to educate other business communities that this is the only way to effectively report on HR. "That people’s capacity to unlock the performance of organizations is far from a simplistic and causal model is hardly new. A book offering a new way of explaining how such complexity can be managed and harnessed for the good of organizations certainly is. This is a book to address HR’s continuing inability to think outside the box of how people influence performance. Read, reflect and act." The CIPD is leading - but in the wrong direction? There’s also more I disagree with in the CIPD’s attempt to re-establish Accounting for People through a project called Valuing Your Talent and which was launched with another research report at the CIPD conference. Despite the change in name, this project is basically recycling Accounting for People, and adding an additional, dangerous twist. Firstly, it’s attempting to define externally reportable metrics for things which are standard across all businesses. These may not be that important, but if they can be defined and standardised, why not? Well the two main issues with this are that A4P failed to reach any agreement on what these standards should be, and I’m not convinced that VyT will do any better. And also that SHRM have recently defined some standards anyway, but failed to get anyone to want to use them. Eg at the conference, Peter Cheese suggested there is no standard definition of headcount, but there is - see p8 in this SHRM document, it’s just that this wasn’t adopted by the American National Standards Institute. And once again, I’m not convinced that the CIPD will manage to do any better. The only good argument I’ve heard for us being able to do this when the Americans failed was a point provided by Ann Francke CEO at the CMI (one of the CIPD’s partners in VyT) who I met whilst putting together a research report for the EIU (which was unfortunately never published) earlier this year. Ann suggested that 8 out of 10 of ISO’s standards including the big four: 9000 for quality, 14000 for the environment, 18000 for health & safety and 27000 for information security were developed first for BSI in the UK, as we have a better understanding of the value of standards. So maybe this will help move things forward here? But I’m not convinced. The CIPD have grouped these metrics into two: Regulatory metrics, required for legal and similar reporting, and Transactional elements which some investors and others say they want, though that’s different to having a definite need to use them. They probably are amenable to standardisation, with enough time and effort, but the key question remains - will anyone care? Secondly, VyT is trying to come up with standards for more strategic measures which are much harder to measure. These include analytical metrics such as engagement levels, and transformative metrics such as human capital enablement, utilisation and traction. A4P suggested measures like these would need to be left to narrative reporting and SHRM also left them to a more qualitative 'Human Capital Discusion & Analysis’. Good luck to the CIPD in findings some quantitive standards for these. In fact during the conference presentation, Anthony Hesketh suggested the CIPD’s accountancy partners were only just about on board with engagement survey results and certainly weren’t going to go along with something like a social network analysis - a tool which is potentially more important but less easy to measure. That’s the problem A4P found too - the more important the measure it, the less possible it is to make it into a metric! Actually, before I finish, I should note that there are aspects of the research report I agree with - and this seems much more balanced than Peter Cheese and Anthony Hesketh’s conference presentation. I do agree for example that where it is possible to do so, we should try to make the intangible more tangible. Of course, it is not all about numbers. Many grate at the description of human resources as an asset ripe for greater exploitation. While the accounting profession is for the first time getting to grips with the notionof an asset as aresource, the HR profession has steadfastly defended the human element in HRM. There is a large element of executives who do not require the accounting, academic or consulting industries to prove something thatthey already know to be true: good management makes a difference tohow people perform. It is for this reason that VyT is looking beyond the capitalisation of human resources to how we value our talent and our management practices as more art than science. Alongside the development of a raft of metrics we are investigating the craft of thehuman resource executive’s art. This in turn requires methodologies that utilise the narrative form to capture a company’s competitive intangibles. This is much more like it. Though my preference at least isn’t due to any ‘grating at the description of human resources as an asset ripe for greater exploitation’ (or the fear the CIPD believes exists that it described in its analytics and big data report), it’s just a different, and I believe perfectly valid (and correct!) perspective on the role of measurement. It’ll certainly be interesting to see where this goes, though I don’t hold up much hope for it. Sure things have changed since 2004. The CIPD are right to signal the opportunities provided by changes in international financial reporting standards (IFRS) and integrated reporting (IR). But these are peripheral issues. Nothing fundamental has changed in the fundamental difficulty of capturing the most important aspects of people management in standardised form. Anyway, I think this difficulty is probably a good thing as there’s probably as much chance of the project doing damage as it doing good should it succeed. I certainly can’t see the project ‘creating a movement’ in the way it suggests. Firstly because movements come from crowds not managers and secondly because it’s too late to do so - engagement comes from participation, not from being sold things that have already been decided. But as the project has already decided that “in the present context of concern and expectations about corporate cultures, we have to finally agree more consistent measures and frameworks that provide the visibility all stakeholders need” (do we?, is that the right choice? will this solve the real rather than the superficial problem?) it’s too late for me at least to get on board. In my last post I argued that the CIPD has got things wrong in arguing for the focus on analytics in their new framework. Well I disagreed with this top-level focus, and I disagree with the detail in their new research report, ‘Talent analytics and big data - the challenge for HR’ as well. But just because big data is important, and we need to improve what we do in the area, doesn’t mean that we should let analytics take over from our focus what’s even more important, and that we already do reasonably well! And I simply don’t believe that analytics are going to provide the basis for the leap forward we need to make in the profession. I like one of the interviewee’s comments in the report that ‘the fact that HR wants to move into the place is good as it complements and balances the gut-feel approach.’ I agree, but I think the rest of the report forgets about the importance of this duality. I also strongly object to those of us who have a more nuanced view about the utility of big data to be discounted as suspicious and afraid! We have a reasonable (and I believe accurate) point of view, and it demands to be taken more seriously! The report makes a big thing of the problem in the take-up of analytics being what is called suspicion, as well as silos and skills. This is about the cultural barriers which can ‘subtly undermine the people analytics effort.’ These cultural barriers include ‘biases and beliefs about where HR’s expertise lies’ and even ‘fear that data might reduce human beings to units of measurement!’. This is just one example of the report distorting rational, critical arguments into emotional ones which most people will disagree with. We, or at least I, don’t think data will reduce human beings to units of measurement, we just don’t believe measurement can ever fully describe the full qualities of these people. That means that whilst measurement is important, it can’t be the big solution to our current needs. Well, those who are concerned about a more thoughtful and grounded HR practice are correct in my view! An excessive focus on metrics and analytics can compromise our effectiveness. The more we focus on data, the greater the risk of losing sight of the forest for the trees, and reducing not increasing our insight about our people, and the effectiveness of our approaches. And the approach also leads to absolute and dangerous nonsense like the belief that “If HR can’t measure what it does and prove the value of what it does then it shouldn’t be doing it” (Accenture again). The report also notes that 'analytical people don’t live in HR - HR people are better at managing ambiguity than analysis' - well, perhaps there’s a reason for this (that this is the skill which is really most important and that we need to develop even further)! “For me it’s just a buzzword that people are using to make themselves feel clever. Everyone else is just wanting to get on the bandwagon. The issue is what kind of stuff? You don’t always need to push the envelope and be ahead of the curve. People misunderstand the challenge: what’s the operational talent data? For a start you need a clean definition of talent which is clear. The unstructured [data] issue is promising, but what’s theincremental value? How is it going to drive my business in a leading-edge way? Not sure it (big data) can add real value…"
I’m happier about the use of the word scepticism than I am about the accusation of suspicion (defined above to relate to peoples' biases and fears). However once again any rational, critical scepticism about the over-exaggerated potential of analytics and big data is distorted into a more general, quasi-flat-earther perspective (fear of the new data driven world). So what I find really interesting is that the report itself demonstrates just how limiting a focus on data and analytics can be. That is, that even after what seems to be a sound research approach (interviews with individuals from ten different organisations, survey data over two time periods and what is described as an extensive review of literature on the topic), presumably leading to a set of sound findings, the conclusions can still be so completely off the mark. To me, this reinforces the central fact that it’s not the data but the insight this provides that is important - and this is where we need to focus our effort. And insight is still as much about gut-feel as it about all this other malarkey. BTW, whilst I’m on the subject of the research process and the literature review, I would just point out that the report mentions just 21 references within its extensive literature review and that this included no blogs - which is increasingly the place where new ideas are brought forward. I think the CIPD is still a little suspicious (hah!) when it comes to social media. And OK, citizen journalists do more obviously have our own axes to grind. But at least I admit to my own biases as a blogger, and my blog is still a paragon of neutrality compared to this report! Anyway, perhaps if the database had been widened out a bit and made more topical, it would have led to sounder conclusions too. For example, what about the main problem in analytics - strategy!? The report notes that analysts may be operating without a full understanding of the purpose of analysing people data, leading to a ‘bean counting’ approach to the measurement of people, but it doesn’t probe any further. But in my view, poor, or lack of, strategy is a much more important and valid problem than the other three s’s that provide the focus of the report. There are some important issues in all of this. For one thing, I worry that the report is likely to mean that even more excessive focus gets put into measurement and analytics, rather than where the strategic need really lies. It may also be one the main factors that have led to the CIPD putting so much focus on science and analytics in their new framework (see my previous post.) Despite Andrew Marritt’s well through through response, I still think that’s a mistake as well. During its centenary this year the CIPD has been congratulating itself on its long history of leading HR into the future. I agree that the institute has been leading, but as I noted in my previous post, it’s also great to see it starting to lead the profession much more proactively. Leadership is a difficult business, and I’d much prefer the institute to be leading in a way that I disagree with than not leading at all - as this still gives people something to bat against. Changing context. I completely support the need for this to be here. Business needs, workforce expectations and the opportunities provided by technology have all changed beyond all recognition over the past few years. So has our experience of the different ways of doing HR. But these ways still aren’t well enough known. 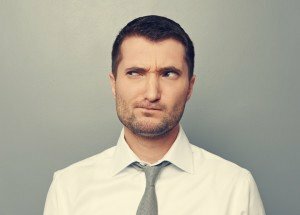 There’s still far too much belief that HR’s just about doing basic things well and that there’s nothing new in HR anyway. Nothing could be further from the truth! The changing context, and the impact of this context, need to be much better understood than they are. HR and Learning Processes, Practices, Policies. What’s this doing here? There’s nothing new about these. OK, the way that we need to do HR, including learning, has been transformed, but why not put something like HR innovation, or internal transformation in the framework to make this clear? And if we do want to put something about what we’re doing now, let’s make it clear that what we really need to focus on is outcomes, not activities! Science of HR. This is where the framework really loses it! OK, there may be a need to introduce more scientific approaches, to learn from neuroscience etc. But science isn’t the difference that will make a difference to our organisations’ success. What we need is to be more strategic; to build more compelling workplaces; to be more creative; and artful in our solutions. The difference is ART - you’re going to be hearing a lot more about this during this year! Business and Commercial Insight, and Analytics. Oh dear, oh dear. Firstly, yes, we need business and commercial insight, but again, that’s not going to make the difference. Much more important than this is insight into people and organisational culture. That’s going to help change our organisation’s much more than developing the same skills our business colleagues already have! Similarly, with analytics - yes, we need to use whatever tools and approaches we can to further our insight about our people, but it’s what we do with the analytics that will count. Most of that is still going to come from good, calibrated intuition, and enhanced imagination! So how has the CIPD got themselves stuck down this blind alley? But more importantly to me, this leads to the other flaw in the CIPD’s leadership approach - that they’re trying to add leadership to the HR community, rather than leading from within the community. It’s a subtle but important distinction. Leading from within is about shaping and promoting an agenda, but taking that agenda from what the HR community believes, rather than developing this themselves, largely independently from the membership community. I have lots and lots of conversations with HR practitioners and they’re not saying what the CIPD says. This isn’t about needing leadership - these practitioners are already acting to promote agendas within their own organisations. What they need is for the CIPD to understand this agenda, take hold of it and make it happen. Still not convinced? Take a look at the '100 Thoughts’ the CIPD asked for over the Summer and was going to publish but has apparently dropped (because these thoughts don’t align with their own agenda?). Only one person in here mentioned science and one other metrics. And this isn’t because we’re scared or suspicious about this (more about that soon), in my opinion at least it’s because we’ve investigated these and we don’t see them as the future of our profession! “The world of business is transforming. The recession and the banking crisis that triggered it, combined with a multitude of high profile crises in organisations across the public and private sectors, have changed the game. The questions that business leaders in both public and private sector and in all sizes of organisations are looking to answer are those of people management and development: How to restore trust; build employee engagement; tackle skills shortages; and help solve economic and societal problems like youth unemployment and issues surrounding fairness in pay and reward." It’s just that in my opinion again, the CIPD’s new framework provides the wrong set of answers. It’s that time of the year again! Christmas advertisements and decorations are out and I’ve already seen a few other posts starting to give advice for 2014. Personally, I always try to avoid doing this, at least not until the start of the year. However, there’s a good reason why 2014 should be an exception – growth! In the UK, the Bank of England has confirmed the recovery has finally taken hold and new jobs are accelerating with unemployment set to fall potentially to 7% by the end of 2014. It’s not all hands on pumps quite yet, but organisations will need to dust away a few cobwebs to support the new opportunities a revitalised economy will need. For one thing, the whole focus of HR and Recruiting may need to change. I’ve never been that sold on the idea of Recruiting as a profit centre – some functions will be able to take this opportunity but most will not. However the idea that HR and Recruiting should focus on the value they are creating rather than costs of running the function, are totally spot on. HR costs a small fraction of a business’ total expenses but its impact on a business is huge. We can save pennies by watching our costs or add on pounds by providing the right people our businesses need. Spending on HR support to enable business success has to be the right move, and the need for this contrast in approach will become clearer as the economy takes off. You’ll see this shift in the metrics we use as well. We need to focus on quality-of-hire (as a contribution to this value we are creating) rather than cost of recruitment. We also need to focus on time-to-hire as well. In a growing market we’ll increasingly see those functions which are slow-to-act missing out on the prize. Quality of hire will always depend on a particular business’ strategy, its context, the people it is recruiting, etc. But for me, the key is to link it back to what the organisation as a whole is trying to achieve, not just a specific job. The fact that someone can do their job is one thing, but what’s more important is improving a company’s core capabilities. Will a new hire be capable of thriving in areas like innovation, collaboration, quality of leadership and speed of execution, etc? Although quality of hire proves to be a more complicated calculation to solve than that for time to hire, organisations should strive to do both. As well as being less complex to measure, time to recruit is also more comparable between organisations. However, give careful thought to what the target should be, as this should be unique to each business. Are you driving this towards zero? Perhaps try scouting for candidates in the marketplace, recycling candidates, or putting more focus on internal successors and alumni. Or, are you setting a negative target? For example, are you hiring people in advance of identifying specific needs? This is something that should be possible in many businesses in high growth mode, as the cost of doing this is often less than having a role left unfilled. These strategies are not solely about the HR / Recruiting function – we also need to engage hiring managers in changing their role. They should become more strategic in their demands, more creative in their search, and more focused and proactive during their recruitment campaigns. This is one reason why we need an integrated approach where HR and Recruiting work closely together. In many organisations this is going to require more effort than just good influencing by the recruiters. We’re going to have to grasp the nettle of who gets to manage and whether they have the capabilities and motivation to manage, and also recruit. The CIPD’s 2013 annual conference has been a great event - well organised and thought provoking. See my live posts from the conference (links at bottom of post) and I’ll be following up with more on the CIPD’s new framework, HR as data science and external reporting over the next few weeks. There was a great buzz throughout the conference and exhibition and I thought the reduced number of concurrent sessions probably helped this. The speakers were generally very good and got me thinking (eg about the living wage) which isn’t always the case at conferences. The free exhibition was good and the exhibition sessions added a lot of value to those visiting just this, which is important as this is organised by our professional institute. The changes in work, the workforce and workplace provided a good context for the conference (though I don’t think classifying each session within these three categories worked. And if we’re going to focus on the workplace, let’s get someone in who knows about workplace design - Nigel Oseland and / or Neil Usher would provide a good point to start.) I’d like to see the CIPD do more to communicate the extent of change HR is going through at the moment - I still don’t think this is well understood by many members. Two days was good - I’ve changed my mind on this. I do think it’s reduced the conferences sole remaining differentiation (post the community focus in Harrogate) versus other events but this is probably a good trade-off to get the additional buzz. It was great to see no sign what so ever of Bridge! Has Peter achieved my fifth objective for him too??? Thanks to the press team for having me there to tweet and blog. I hope you don’t mind that a fair bit of my blogging and tweeting was quite critical - but I stand by position that disagreement is a positive aspect of engagement - apathy is the opposite of engagement, not disagreement. And I believe my blogging and in particular my tweeting will have helped get the CIPD’s agenda to a much broader group of people than if I hadn’t been there. I'm in two sessions on innovation and entrepreneurship this morning - one with Innocent and Alcatel Lucent (in person), the other on the CIPD's hackathon (via the tweets). Innovation is important - Peter Cheese suggests that the top 5% organisations have a 1 in 3 chance of being toppled within 3 years. And there are a number of ways of encouraging it - firstly there's the development of an entire innovation oriented culture, which is what Tom Fraine from Innocent Drinks talked about - recruiting entrepreneurial people, agitating people to take risks, mixing people up etc. I particularly like their baby wall - helping them think differently by looking at their people differently. And there's a focus on a more discreet group of people, proving a process and coaching for entrepreneurship. This is what Olivier Leclerc from Alcatel Lucent talked about - firstly through their Sharepoint site and secondly through an entrepreneurial bootcamp, a little bit similar to the hackathon process Peter and co were discussing. I think this can work in an organisation - particularly one in which there is the culture to match. Facebook is a great example, though I don't think they talked about this in their session. However, I don't believe hackathons work that well outside organisations - that's whether they're face-to-face or virtual - unless they're reformatted for this environment. Eg see this write up of one at the Enterprise 2.0 conference. Most innovation occurs based on trust and social connection. All organisations have this - to some extent at least. Virtual groups working around the world don't - unless it's created first. The CIPD's hackathon didn't do this. There was no social connection at the start - with the exception of the HR social media community, but without broader action that perpetuates a separation between those on Twitter and those who aren't, which isn't helpful either. And although this connection came later that's too late to generate really innovative ideas. Worse than this, as I've already posted, the hierarchical nature of the MIX and the CIPD's hackathon process imparts a hierarchical structure onto this innovation process, which further reduces the opportunity for true social connection. But if you go back to Peter's challenge that given the changes in work, the. Workforce and the Workplace, much if not most of what we do in HR is no longer fit for purpose (something I agree with totally!) then there are much, much bigger prizes to be had! I hope I don't annoy anyone to much by this post - I would still like to win the MIX's #SAPmPrize and get uninvited back to #CIPD14! But Peter asked me last night how we can continue the hacking process, and the first part of my answer is not to do more like this. And if you want to send my your baby photos, I'm happy to share them here! This is the CIPD's Centenary so it's great to see speakers here from a couple of organisations involved in setting up the institute. Shaun Rafferty has been talking about the early involvement and current role of the Joseph Rowntree Foundation and its support for the Living Wage - also particularly relevant as its Living Wage Week. Joseph Rowntree started paying productivity wages, basically the same idea as today's living wage, back in the 1920. However, apart from them, nothing much has changed in that most don't pay it. Shaun shared some shocking data about the levels of underemployment and in-work poverty which hasn't changed over the last 100 years as much as you may think. This has a profound impact on engagment as its hard to be engaged if you're purely focused on your pay. Stephen Lehane then shared some information on Boots' journey over the last 100 years - from when the average lifespan was 41 years. So I suppose customers back then were probably less interested in today's Heath and beauty agenda, eg Boots products which help you keep your skin the same colour it already is. We've now got the opportunity to engage them, and our employees too. But that doesn't come without commitment and effort eg Boots' championing colleagues so they can and will champion customers' right to feel good. Oh, and after paying people appropriately too. Shaun pointed people at Engage for Success' website for ideas on engagement and I'd echo that call. In fact I think I've agreed to host an E4S podcast on Monday - more on that soon. But I'd also have a look at Goffee's and Jones' DREAMS - and other suggestions I've made here previously. Firstly - the founding Mssrs Rowntree and Boots' perspectives definitely help these two organisations to do what they do. But it's taken a lot of focus since then too (Boots is a recent client). However, I do think we need to be careful about potential distortions in pay strategy and the potential dysfunctional consequences of forcing more people out of jobs. I want to see people at the bottom of the pyramid paid better because I think that’s the right thing to do and because I believe it’s appropriate - the pay differentials we have in place today are a disgrace. But I’d rather tackle that by helping employers understand the differentials in peoples’ contribution simply aren’t as large as we tend to think, and that the differentials themselves reduce the opportunity for good business performance. More importantly, given all of the changes in the world of work we've been discussing, I believe we need to make jobs and other forms of work more similar, not more differentiated, with jobs being more comfortable and protected. This just means other people with even harder lives pick up the strain elsewhere. There's a real risk of some major divisions between employed and un- or under- or alternatively- employed if we do. Rowntrees' productive wages were a great idea 100 years ago but as the presentations pointed out we face different issues now. Work doesn't come in discreet, 40 hour packages in the way it did then and we shouldn't design our organisations, or our approaches to reward or engagement, as if it does. I'm at the CIPD conference today and tomorrow. We're starting with Rob Goffee and Gareth Jones on their new book about Best Workplaces. It's a great agenda and I particularly like the idea of creating dream workplaces. However, I think the speakers' acronym misses the point. The best way to create a dream workplace is just to encourage and support employees to dream. Doing this is always going to be far more compelling than engaging employees in corporate aspirations. The rest of this is good but is just In Search of Excellence type stuff. We shouldn't be trying to create generically good / best organisations but figuring out what type of organisation we want to be, finding people who find these things compelling and then delivering what you've designed your organisation around. I’m looking forward to chairing Symposium Event’s Successful HR Business Partnering Summit on 5th November. We tend to focus on the problems often involved in business partnering (I know I can do this too) but given the title of the event it’ll be great to find out what different companies are doing to make business partnering work. I expect to hear a lot about best fit. Well, maybe not quite these words… but examples of businesses that have identified and developed business partnering approaches which make sense for them – their sector and organisational context, business strategy, capability of existing HR staff and line managers etc. To me, this focus on a specific business is a major part of driving success in business partnering. And where things do go wrong – something that thankfully we won’t be hearing that much about (but which I do review in the Business Partnering workshops that I run for Symposium), it’s often due to the opposite of this – the complete lack of attention to what makes a particular organisation unique. The biggest and baddest problem of course is due to organisations trying to implement Ulrich’s HR business partner model – the (in)famous three legged stool. But note, I said the problem is organisations trying… – not the Ulrich model itself. I think this is often misunderstood! The Ulrich model has only ever been promoted as a description of what a lot of organisations have been doing (starting in the 1990s), or possibly a straw model to benchmark your own HR function and ask useful questions about how it can be improved. There’s never, ever been a suggestion that you should turn your own team into any stool of any number of legs, but that is unfortunately what a large number of businesses still tend to do. Don’t! Instead, do design a best fit solution that meets your particular needs. Consider the full range of alternatives and pick the one that best meets the needs you’ve identified. It’s really not too hard. And if you do that, you’ll be much better positioned to develop a successful approach to business partnering yourselves. Strategy. Do you have an ambition, objectives and processes that are going to make a difference to your business through your people? Capability. Do your business partners understand what partnering really means, and do they have the skills to achieve this? Measurement. Do we know how well we’re doing – in partnering and in delivering enhanced business results. So if you do come to the conference, do remember to pay attention to what speakers are doing in these areas, not just to the numbers of and how they’ve arranged their legs! And remember that the speakers are only providing examples and descriptions of potential best practices. Some of these may be useful thinks to adopt yourselves, but most of them will not. However, they should help you to consider what would drive success in the above and other areas of HR business partnering for yourselves. Originally posted at HR Review. 1. Are they really hard-to-fill? Start by evaluating your competition. 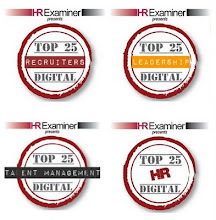 Is your organisation exclusively having difficulty filling these positions or are your competitors struggling too? There may be underlying barriers preventing you from reaching and engaging ideal candidates. For example, how accurately are you positioning roles and how aggressively are you promoting opportunities? Are you simply defining your roles too tightly or are you limiting your recruitment sources? 2. Do you have a compelling proposition for these people? If the positions are truly difficult to fill, then you probably do need to change your recruitment strategy. This may include evaluating compelling roles and company culture prior to putting more effort into actual recruitment efforts. For example, when I was sourcing those business process specialists, I found the most common reason why they left was because the existing auditors rejected them. They weren’t treated well. Perhaps if we had improved the current company culture, those hard-to-fill vacancies would have stayed inhabited. 3. Are you hiring key influencers? Once you have identified a compelling proposition, you are ready to start recruiting. Try to align your recruitment strategies to not only meet key needs for today but to also promote future growth. For example, recruit candidates who not only meet the vacancy description, but who could also attract future candidates for that specific position. This is where key influencers come into play. Use their network and talent pipeline to promote your organisiation as “the new hot place to work”. 4. What’s your workforce planning process like? Take the time to evaluate the role workforce planning or non-planning has played in bringing you to the situation you are in today. I’m not suggesting that WFP can always solve hard-to-fill recruiting challenges, but very often it can. Think further ahead, considering whether the hard-to-fill roles you have today are likely to be the same ones you’ll be struggling with 10 years on, or whether additional roles will join them. Be proactive and start taking action on these now to prevent you or your successors from experiencing the same roadblocks in the future. 5. Is your recruiting process sound? Identify any cracks in your recruitment strategy that might hinder performance. Are your processes up-to-date? What about the capabilities of your recruiters? Are you using appropriate technology? An effective e-Recruitment system is not going to produce hard-to-find candidates out of thin air, but it can certainly help you identify them, and manage their interactions with your organisation in a more professional way. I've been at Teneo's 7th Talent Management seminar ( #talent7th ) yesterday and today. We've had a good tour through talent acquisition and development, and am now onto a more integrated perspective reviewing the balance of global and local strategies, and focusing on the input from workforce planning. The most interesting session for me also focused on integration within the talent acquisition slot of the agenda - and was delivered by Chris Taylor at SAB Miller. The 'pick up' and 'put down' approach. The future is being a talent partner - this doesn't have to apply to everyone but top 10% of roles / recruiters. Looks to longer term event horizon - so important things don't get left because 'we're all too busy'. - Hiring date into performance review - eg it may take 20 to 20 conversations to convince people to relocate to Switzerland. But as soon as they are selected all that data goes out of the door. We also need to think about the use of the data eg he would prefer rather than being measured on time into job, focusing on performance after first year. - Career path into development programme - eg they have 16 roles you can do in procurement mapped out on a career path. But after recruitment this is not very integrated into talent management - they had some deep conversations about likely succession, potential routes etc. So that they can offer more input to candidate, or at least being seen as a sort of independent adviser. - Talent pipeline into succession plan - list 3 or 4 best people in the industry. Regular contact is difficult - top 40 positions - 3 names for each roles = 2/3 internal and 1/3 external - identified in competitors or elsewhere. If not sharing succession plan, why not? 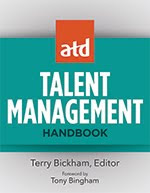 We need to feed back on who got promoted / progressed so talent acquisition know whether they recruited the right people. I also thought it was interesting that only 3% of web traffic on the SAB Miller main site goes to their career page - so they need employer brand to be reinforced, or even led, though other areas of talent and business management. I've had this article published in Computer Weekly. It's meant for CIOs but if you're a CHRO you may still find it interesting. It builds on Thomas Otter's focus on the HR nexus (I've relabelled it the perfect storm) at HR Tech Europe last year, in the run up to this year's conference that I'll be chairing again. It's always good getting published but I'm particularly pleased with getting into CW finally - about 20 years after I gave up my regular subscription, leaving the world of IT for change management and then HR! Good to see the two world getting closer finally!